2018 came forty years since Uganda last enjoyed an international balance of payments surplus. Since 1979, in spite of several bursts of economic growth (1982-1984 and 1992-1995, 1997-2002), the country has still not yet returned to the point where it exports more than it imports, something that last happened in 1978. However, basic consumer goods are available in most parts of the country in 2018, inflation remains stable, and there are few reports of famine in any area. By Monday June 4, 2018, the national currency the shilling was trading at a median 3,783.2 to the U.S. dollar and the shilling continued to weaken. A few reasons accounted for this. First, was the fact of a nation that consumes and imports more than it produces and exports. Exports in 2018 were about $2.5 billion while imports were roughly $4.5 billion, leaving Uganda with a balance of payments deficit of $2 billion. Secondly, rising interest rates in the United States saw money leaving emerging markets in Latin America, the Middle East, Southeast Asia and places like Africa and returning to the U.S. where there was much more profit to be made from higher U.S. interest rates. The combination of Uganda’s significant trade deficit and the strengthening U.S. dollar in the international currency market suggested that the shilling could fall further in value to 3,900 and even 4,000 to the dollar by the end of 2018. The glut in the property market also meant that there was more unoccupied commercial floor space in Kampala than there were tenants to rent it. The over-emphasis on higher-end restaurants and hotels also showed the problem with that model, with glaringly empty coffee houses and restaurants across the country. All over Uganda there remained an acute shortage of affordable, quality housing and neither the government nor private investors seemed to realise this shortage, know what to do about it, or regard it as worth the investment. The South African supermarket retailer Shoprite took cautious steps in filling in the space in the market left in the wake of Nakumatt’s departure. What helped Shoprite and another South African supermarket, Game, weather Uganda’s weak consumer market was their resisting the temptation to expand too fast after over-estimating the size and purchasing power of the middle class. There was an over-supply of goods in the economy, with more on the market than were viable relative to the purchasing power. The Gulf airline Etihad Airways departed the Entebbe route at the end of March 2018, citing the lack of profitability in the Ugandan passenger market. The flooding of the Ugandan market with low-priced Chinese products continued apace in 2018, with the country now having turned more or less into a distribution centre for East Asian goods. Services, however, were in short supply especially high-skill services. The heavy investment in public works like highways between the major towns and regions by mid-2018 had not yet started bearing fruit commensurate with the investment. Japanese and Chinese companies maintained their grip on these major road and bridge projects, further exposing Uganda’s lack of internal capacity. With the government in need of more tax revenue, businesses felt the pressure being brought on by the Uganda Revenue Authority, best seen in the proposal to tax the use of social media platforms. It was not clear how the URA would administer the social media tax, in particular, given the offshore location of the main platforms like Twitter and Facebook and the highly complex technical skills required to track online activity. Mobile money cash transfers continued eating into the retail end of the commercial banking sector, but this falling retail revenue was more than offset by the trading in treasury bills and bonds with the central government by the 24 commercial banks in operation. Tourism arrivals continued their gradual rise, although Entebbe International Airport was still a small-scale operation that would rank more as a regional domestic airport than an international airport. It remained to be seen if the current expansion and upgrading of the airport would be a catalyst for tourism and business, or a wasted investment. The very low penetration of insurance in the economy was one of the best proofs of what kind of economy Uganda’s is. The lower single-digit insurance in Uganda spoke of an economy with little long-term planning and production. The advertising and marketing industries in 2018 were still largely as they had been in the late 1990s. There was a token marketing nod to new channels like social media, but by and large media outlets and advertisers were content to market and advertise as they had done for the previous 20 or so years. The corruption rife in the rest of the economy was at the heart of advertising, further distorting the market. Placement of adverts depended more on offering bribes and commissions to marketers than measurement of performance of the adverts. An unmotivated, careless workforce and a private sector producing work and products of generally bare-bones quality remained a hallmark of Ugandan enterprise. There were very few companies or government departments that pressured and required of their employees top-performance, mainly because the Ugandan economy in 2018 did not require it. Politics continued to be the main focus of national discussion and media coverage. Most political discussion on TV, radio, in the newspapers and on social media revolved around the government and accusations of corruption or poor service delivery and nepotism. Several parliamentary special elections in Bugiri, Rukungiri, Jinja and other towns and townships preoccupied the political class and the media after the failure by the opposition parties in 2017 to prevent the waiver of the presidential age limit from the constitution. The Rukungiri by-election in early June was of particular interest and demonstrated both the independent-minded streak in the Rukungiri population and the lack of conviction and an uninspired effort by the ruling NRM party at campaigning for their candidate. The Rukungiri election was won by the main opposition party, the FDC, as was Jinja East constituency election several months earlier. A much-publicised reunion by the Uganda Young Democrats, a pressure and activist group that affiliates with the Democratic Party, exposed the splits within the DP, a mainly Catholic, mainly Buganda party founded in 1954. The 32-year rule by Yoweri Museveni’s NRM by 2018 was presenting an existential crisis in central Uganda and to a lesser degree in northern Uganda. The first 24 years of independence (1962-1986) had been dominated by northerners both in politics and the military. More and more Ugandans were starting to feel that the period after 1986 was not only dominated by westerners but this dominance could turn into a control of the state and national resources for decades to come. Under and after Museveni, western Uganda to many observers seemed set to become as dominant for the rest of the 21st Century as Buganda had been dominant in Uganda during the 1894-1962 period. Frustration with Buganda’s weakening political and economic influence in Uganda was one of the factors causing tension within the UYD and to a degree, the wider opposition. Where the 24-year rule by northerners had left Buganda feeling politically insecure, the long and seemingly unending rule by westerners left Buganda feeling economically insecure and, more importantly, starting to lose its self-confidence. Three-time former presidential candidate Abed Bwanika caused controversy when he appealed to Baganda to front their own presidential candidate in the next general election. He spoke for the many who feel the DP and the Baganda are settling too comfortably into the role of bridesmaids for presidential candidates from western Uganda. Those who disagreed with Bwanika maintained that President Museveni and his government are a much bigger problem to Uganda than where the next viable presidential candidate might come from. Buganda, though, remained the physical centre of the Ugandan economy. Between Kampala, Entebbe, Masaka and Mukono up to 75 percent of the Ugandan economy and infrastructure was located and Luganda the de facto national language. The continued detention of the Bakonzo’s cultural leader Charles Mumbere remained deeply humiliating to the Rwenzori communities in western Uganda. Local government across the country remained weak, fragile and the only effective presence of the state was in internal security. Basic healthcare, primary education, cottage businesses, agricultural extension and veterinary services were a sorry sight in rural Uganda. Some of the reason for the surge in the rural-urban migration was the hope of gaining access to basic social amenities and services that have virtually collapsed in the upcountry townships. Western European and North American governments, embassies and relief agencies largely filled in the local government role of the Uganda government. Uganda spent a few uncomfortable months in late 2017 and early 2018 trying to deny a secret arrangement with Israel to receive deported Eritrean and South Sudanese refugees whom Israel planned to deport. Uganda acted this way because in its foreign policy it has to strike a delicate balance — support Israel and simultaneously maintain relations with some of Israel’s bitter enemies in the Middle East and North Africa whose patronage Uganda needs. Plans by the United Nations to transfer its logistical base in Entebbe to Nairobi were the main talking points of the first half of 2018. Ugandan troops and influence remained a backbone of the peacekeeping efforts in Somalia and in South Sudan. Growing tensions with Rwanda in the latter half of 2017 appeared to have eased in the first half of 2018. The annual pilgrims’ walk to the Namugongo Martyrs’ shrine in Kampala drawing devotees from Uganda’s neighbours like Kenya, Rwanda, the Democratic Republic of Congo, Tanzania and other countries continued to give Uganda regional cultural prominence. However, Ugandan embassies and other foreign diplomatic missions played a negligible role in the country’s place among the nations. 2018 saw an uptick in the number of kidnappings and other violent crime such as random attacks on pedestrians and motorcyclists. Some of the reported acts of kidnapping were by young people seeking to manipulate their families for urgently-needed money, while some other incidences bore traits of sabotage and even secret political subversion. The police pledged that it would do its best to fight this growing rate of crime, but its ability to investigate was hampered by a lack of skilled manpower, motivation and resources. Although most of the country’s adult population had national identity cards by the end of 2017, it was soon discovered that these cards were not in synch with a central database that could be used to track finger prints and other identifying features. Even with technology changing rapidly all around and the global economy shifting to the digital era in production, marketing, retail and at the workplace, Uganda did not show much awareness of this disruption in its educational approach. Fees in private schools and universities continued to increase every year, but most parents and guardians did not seem able to understand that they were paying more and more for an educational system and culture than was growing more and more obsolete with every passing year. During PTA meetings, most parents tended to sit passively and listen to teachers and administrators run through requirements. As with most areas, the naïve population continued to watch closely the scores and performances at national exams and there was much prestige in scoring high aggregates and graduating at university. `The political, educational, media and civil society establishment do not yet sense how much digital technology are and will overturn the entire foundation of today’s grammar school Ugandan educational system. In fact, relations between Christian and Muslim communities seemed more harmonious than those between several factions within Islam. The wave of murders of Sheikhs in 2015 and disputes over land and property continue to be a cause of pain and tension within mainstream Islam in the country. There was quiet but deeply-felt anger among the Muslim community at the continued detention of Muslims over allegations of terrorism and the perception that Muslims were always singled out for arrest every time there was a political murder or armed incident in the country. Evangelical Christians (colloquially known as the “born again” faith) continued to make inroads into traditional Anglican and Catholic territory and tended to be more vocal and visible than the traditional churches. The shocking death after a brawl in a bar in January of the singer Radio Mowzey of Radio & Weasel, continued to be traumatic to the country. No day went by without a Radio & Weasel song playing on many radio stations. Nigerian music continued making in-roads into East Africa, with Uganda caught up in the trend and many Ugandan musicians expressing concern that it was undermining locally-produced music. Congolese music was becoming a distant memory for the current generation of Ugandan music fans, with Nigerian music having taken its place as the most popular non-Ugandan African music genre. Several Ugandan musicians have already recorded songs written in Nigeria’s distinctive Pidgin Afro-Pop style. Radio remained the main media channel for news, music and discussion. It was also the main vehicle for the promotion of new Ugandan music. Comedy shows increasingly were the crowd-puller at local theatres, as were Indian and Latin American television drama series with local voice-over translations both in wooden cinema houses and on TV. A locally-produced film “27 Guns” was completed in 2018 although by early June it had not started showing much by way of marketing and publicity. Social media continued to be a place of news consumption, debate on the issues of the day and the random viewing, streaming and bickering that characterises the medium. Most of the original content published or uploaded onto social media remained that from the mainstream media and most comments and shares are of mainstream content. In 2018, Uganda achieved its second-best performance at the Commonwealth Games after the showing in Edinburgh in 1970. In 1970 three boxers, James Odwori, Mohamed Muruli and Benson Masanda, won gold medals. At Gold Coast in 2018, three distance athletes Joshua Kiprui Cheptegei, Stella Chesang, and Joshua Kiprui Cheptegei won gold in the 5,000 metres and 10,000 metres track events, tying Edinburg 1970 for the most gold medals at a single Commonwealth Games. Uganda also won three silver medals and one bronze medal at Edinburgh in 1970, while at the Gold Coast in 2018 the country won two silver medals and one bronze. Day-to-day, though, it was English Premier League football that was the main national past time. Sports betting, in turn, was a major preoccupation among the male youth. The belief in figures of authority and inability to see beyond official titles remained a Ugandan trait. Even on social media, public figures tended to gain the largest following and their posts and comments the largest number of shares and likes, simply because they were public figures. The fact that Uganda is a third world country in mind, body and soul was not difficult to see in 2018. The difficulty with reasoning things out and the stating in precise terms of concepts and ideas remained a national weakness. Book publishing remained as anemic as always, website designs and social media pages and profiles lacklustre and sub-standard. The organisation and presentation at ceremonial events like graduation parties, political campaign rallies, weddings and other festivities and the content on social media platforms reflected the awkward third world quality of life, culture and mind. 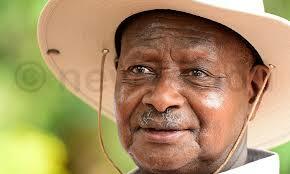 There simply was no motivation, incentive, pressure or reason for Ugandans to think and act at their best. Their jobs, their economy, their still-rural upbringing and the demoralising political atmosphere provided little reason to bother with anything but the bare minimum required just to pay one’s bills and afford the next meal. UGANDA: New Mulago Maternal and Neonatal hospital is a game changer – BUT WILL IT HAVE BLOOD? UGANDA: Holly water gave people Holly Cholera – go figure! UGANDA: Milk Cooler pauses health risk to people of Mbarara BECAUSE IT IS NOT SELF CLEANING!